Welcome to another post from our monthly funding statistics series. Here, we talk about the most popular investment methods used by our customers in March and how this has changed since the previous month. 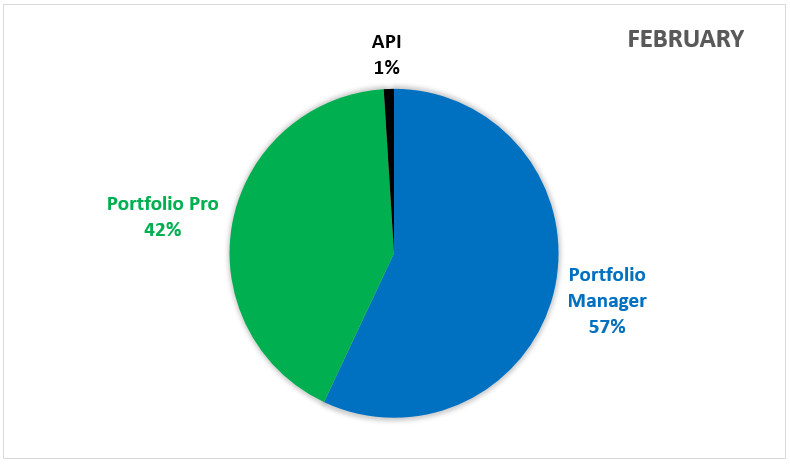 Against the trend of previous months, Portfolio Pro decreased in popularity in March and the percentage of investments made through the tool have decreased. Now standing at 35% of the total investments we saw a reduction of 7% compared to the previous month. In line with this, the Portfolio Manager share increased by 7% and accounts for 64% of the total. 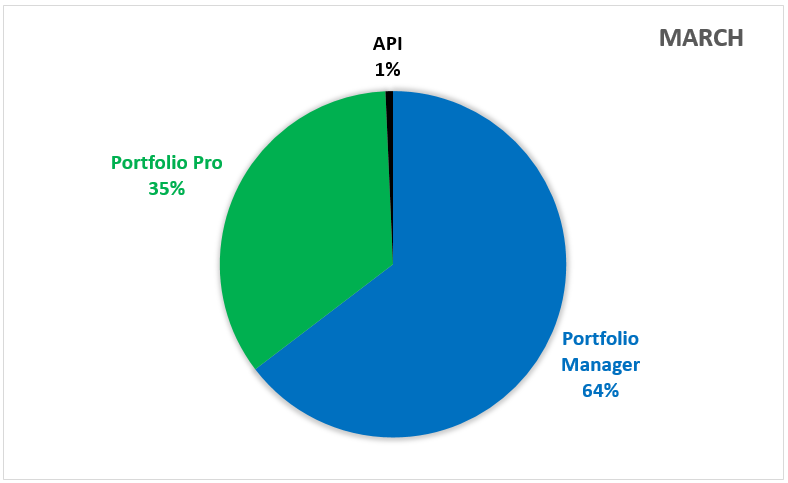 The percentage of investments made through the API remained static at 0.7% of the total (rounded figures in the graph), due to the technical skills required for this option we do not expect to see this fluctuate on a monthly basis, as seen with the other investment options. The total amount invested in the platform remained relatively similar to the previous month. Look out for our upcoming post on where the highest percentage of investments have been made, breaking it down by country, risk rating and durations. Portfolio Manager – Simply select a strategy ranging from ultra-conservative to opportunistic, deposit funds and you’re ready to go. No further management is required as the Portfolio Manager takes care of everything for you. If you want to leave a certain amount of cash on your account that won’t be invested, go in to your settings and adjust the Spare Cash Balance slider to your desired amount. It’s easy! Portfolio Pro – Now you have more control. Select the risk ratings you want to invest in (ranging from AA – HR), select which countries, your preferred loan durations and it’s done. If you wish, you can also add a few more rules like the range of interest rates applied to the loan and also the bid size. We will then give you an expected return range along with the distribution you can expect across your selected filters. For a further comparison between the two, check out our video on the topic here. API – Use your programming skills to access the functionalities of the Bondora platform without using our web interface. The API gives you the ability to bid on specific loans by using different data points such as borrower’s income, country, loan status and many more that fit your personal investment strategy. What is your favorite method? Let us know in the comments below.